Tubbs Delight is situated in a rural lane in the South Devon village of Malborough. Walking distance to the local amenities of two dog friendly pubs, garage, village shop, children's playground, teenagers skate park and the Post Office. Conveniently positioned for the beaches (including all year dog friendly ones) of Hope Cove, Thurlestone, North and South Sands Salcombe, Bantham Beach, Bigbury-on-Sea with the famous Agatha Christie Burgh Island, and award winning Blackpool Sands. Shopping can be carried out in the traditional market town of Kingsbridge, with supermarkets, farmers market and individual independent shops, only 5 minutes drive away. 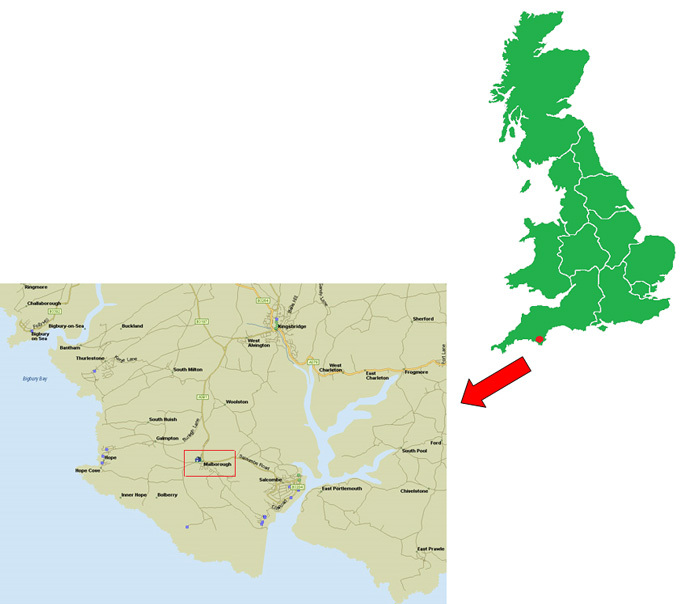 Or further afield in Totnes, Newton Abbot, or Plymouth. The cities of Plymouth and Exeter are within easy reach and are great for shopping and packed with museums, art galleries and other attractions such as the National Marine Aquarium in Plymouth. Tubbs Delight is a haven for walkers and dogs with countryside walks from the door or the South West Coast Path or only 20 miles south of Dartmoor National Park.It is a great cottage by the sea. The holiday bungalow is 5 mins from Salcombe, making it a perfect setting for outdoor activities including sailing, yachting, sea fishing, diving and walking. Come rain or shine their are attractions for all, the children would enjoy Woodlands theme park, historians would love the many National Trust houses, such as Overbecks and Saltram House, and sporty people will love the surfing, water skiing, canoeing and paddle boarding. There are also several excellent golf courses nearby. So many family days out. Tubbs Delight family friendly and dog friendly. Copyright © 2016 Moorhouse Lettings. All Rights Reserved.